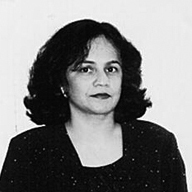 Sudha Balagopal was born and raised in India and has lived in the United States for over two decades. She has a graduate degree in Journalism and Communications from the University of Florida. Recently her fiction has appeared in Blue Fog Journal, Literary Mama, Catamaran magazine, Muse India and Pax Americana among other literary journals. Her collection of short stories, There are Seven Notes, is forthcoming from Roman Books in 2010. Jaydeep jumped as a mysterious ring assaulted his ears. Doorbells did not peal at his house in suburban Arizona on Monday mornings. But then, he had not been home during those hours for the last twenty-eight years. The screechy bell reminded him of his mother's voice breaking in ferocity when the neighborhood youths stole mangoes from their tree in Chennai. He dashed to answer the door, suddenly aware of his tight, once-white University of Delaware t-shirt, purchased in 1976. The jammed latch wouldn't turn. Maya, should have fixed the problem before she left for India. For the past few months, a malaise seemed to have crept into his wife's mind, a disconnect that prevented her tackling such tasks. Her announcement ten days ago that she was leaving for India startled him, and was the first he heard of her father's illness. He couldn't have heard of the illness. His fourteen-hour days left him too exhausted to talk to his wife when he fell into bed at 10 P: M. Truth be told, there hadn't been much conversation in their house lately. He rattled the door handle again, the latch clicked and the creaky door opened. Outside stood the one person he had hoped never to see again. “Hi Jay!” she extended a cardboard box toward him. He stepped back, an involuntary move. “May I ask what this is, Jeanne?” A tight smile stretched his face, feelings hid behind white lips. “I cleaned out your office and brought all your personal items. Here.” Once more she thrust the box at him. “My wife is not here.” He threw it out as a deterrent. A high note in her girlish voice captured his attention. His cell phone beckoned. He had tried to call Maya several times over the past few days. She remained incommunicado. Tried again just last night. She never seemed to be in. “My phone. Sorry, but I do not wish to talk right now.” He shook his head in dismissal, shut the door, ran to the kitchen to answer the phone. It wasn't his wife calling from India. A call from his cell phone company about a past-due bill Maya had not paid. He scrunched up his face. She had called only once to say she arrived safe and well. Perhaps he should have mentioned her listlessness and lack of interest in keeping up the house, in her grooming. Not that she needed embellishment. Maya was a natural beauty. He sniffed, trying to locate the source of a musty odor. He took off his shirt, flung it over his shoulder. The front door stood ajar. He scratched his head, looked outside. Jeanne was not outside. Breathing a sigh of relief, he shut the door tight. “This is hard for you? I am the one that does not have a job anymore!” A bitter laugh escaped. “Excuse me.” He turned around and pulled the shirt back over his head. When he faced her again, he saw she held his framed family photograph in her hands. A happy picture, broad smiles on all four faces. The family had dressed up to get the picture taken that day, before they went to the company's annual Christmas dinner. Maya, as always, well-turned-out. He complained that she took overly long in getting ready; changing jewelry and lipstick at least five times. His daughters protested, then agreed to dress up for the photograph. They lived in jeans and shirts then, formal clothes a torture. Those were the days when the company checked with him before organizing the Christmas party. He walked up to her, took the picture from her hands and wiped the frame with the bottom of his shirt before placing the photograph on the mantel. The frame seemed crooked. He adjusted the frame first left, then right, to get just the right angle. “Your daughters are pretty. Are they in college?” Pleasantries from Jeanne. “Yes. You have come to bring that box to me?” He pointed to the brown box at her feet. “I do appreciate it, very much.” He bent forward at the hip in a half bow before he walked toward the front door. “Do you have a resume?” she asked. “I could pass your resume around.” Jeanne rocked the chair, pushing off with her feet, toes pointed forward ballerina-like. “But I do not think...” He did not want her help. Jeanne stood. The rocking chair whined as her weight released off the seat. His eyes caught the edge of her slip's lace below the skirt line. Maya would have mocked her outfit. A sleeveless yellow blouse cut into her armpits, the navy skirt boasted an incongruous ruffle at the hem. Black pumps, one size too small, encased her plump feet. He stared at her arm. A three-inch brown line extended downward from the elbow. He was proper around women, reserved in a way that stifled his frustration. On Friday, after the fateful announcement, he yanked her office door open in frustration, let it swing wildly back. Right behind him, Jeanne put out a hand to stop the door's swing. A sliver of wood on the door's edge scratched her. Tiny, angry blobs of blood erupted. He took the card from her and shoved it into the pocket in his shorts. “Okay. Thanks.” He sounded gruff, at odds with his words. The melting look in her eyes jogged a memory. Many, many years ago, when he was perhaps seventeen, a couple of teenaged girls had looked at him like that. He picked up the phone, called his wife. He heard the phone ring at the other end, hung up before anyone picked up. What would he say to her? Such irony. He, who had left India to pursue higher studies and a career in the United States, had lost his department to India. The work would probably be done for much less by a man or a woman there. He saw the news gallop through her family and its extended systems, in minutes, seconds even. So much for picking a son-in-law who worked in America, so much for his education, they would titter. Why, our Maya is so beautiful, like a beauty queen, she could have had anyone. An annoying voice in the darkest corner of his mind sometimes whispered, “You don't quite measure up”. Had Maya and he had met in the non-arranged-marriage world, it was unlikely they would have dated. Physically, they were un-matched, the tall, slim beauty with the not-so-tall, non-descript, graying, slightly paunchy but successful husband. Now without a job. The first time he met Maya, he was rendered speechless by the vision that appeared before him. They went out to a coffee shop that first evening, had pakodas and chai. He enjoyed her appreciation of the food. She stirred three unashamed teaspoons of sugar into her cup of tea, licked the spoon delicately with her tongue. When she smiled, he saw two front teeth that overlapped; the flaw made an arresting focal point to her face. She listened, wide-eyed, as he explained his programming job, tasting the remnants of the onion pakodas on her finger-tips. She giggled when he described his inability to iron clothes; he told her he'd burned holes in many of his formal pants, right by the crotch too. Later, his ears burned in embarrassment, as if that was too intimate a piece of information. Perhaps she would take it as an invitation to iron his pants. He knew he was inviting her and she accepted. He could not remember a time when his life was not filled with work. All this extra time felt like an abundant crop after a long famine. Perhaps he should go to sleep, get some rest. He got into bed, turned on the television. He laughed when a sit-com joke tickled, then surfed channels for a while before he came upon an infomercial for a revolutionary vacuum cleaner. Later, he switched off the television and watched the ceiling fan going round, thoughts twirling like dust inside the revolutionary vacuum cleaner. He dreamed about the vacuum's power sucking up all their savings and Maya's jewelry. Soon the vacuum cleaner had gulped down everything in their house, the furniture, their cars, and finally the house itself. He did not wake up until evening, when he made himself a cup of tea and a slice of toast. It tasted like mud. In his youthful days when he awoke late, late being seven in the morning, his mother had shouted in her loud voice, calling him Khumbakarna—referring to the demon who had supposedly slept for six straight months at a time. This late would have been reason enough for her to summon the doctor. He went back to bed. In his dreams a phone rang repeatedly, but his arms were strapped to the bed, unable to pick up the receiver. Tuesday morning, habit took over. From his bedroom closet, he chose a shirt, a pair of pants, and knotted a matching tie before laying them all out on the bed. He remembered making a note about a couple of customers coming in from Memphis. Phil's Gourmet would be a good place for lunch. After a shower and shave, he tried to remember his meeting schedule as he got dressed. Reality hit him like a fist in the solar plexus. He yanked the knot out of his tie, crumpled his ironed shirt, flung it on the floor. Rummaging for an old shirt, he located the University of Delaware t-shirt once again, slid it over his shoulders, and matched it with a pair of ancient shorts. He picked up the phone, stared at the numbered buttons. With determination, he punched the numbers. He heard a double ring at the other end, different from the single long ring in the United States. Again, an unfamiliar female voice picked up the phone. “Can I speak to Maya?” His heart hammered as if he was a 16-year-old calling his girlfriend. “Maya memsahib nahin hai.” The maid answered. Maya wasn't home he was told. Maya could throw tantrums. One time, after he left his family on vacation and returned to the office to resolve an issue, she screamed. “Really, you are married to your work! Your job is your identity!” How would she react to his news? “Sahib ke saath bahar gayee hai.” She went out with the sahib. The sahib, her father. But he was sick. With his free hand, Jay pulled his ear-lobe, hard. He heard the maid ask, “Aap kaun?” Who are you? When he didn't answer, she repeated her question. Phone in hand, he climbed up and down the stairs, ten times. Then, bedroom to bedroom, living room to family room, kitchen to dining area. He headed to the laundry room, started the washer, put in smelly clothes from the hamper. After a moment's thought, he yanked off his t-shirt. Only a little detergent remained at the bottom of the container. He stepped out of his shorts. A wry smile crossed his face. So what if he walked around naked in the house? He sat down in a chair at the kitchen table, rubbed his belly. There were alternatives available to him. He could mail his resume. To hundreds of places, search for jobs all over the country. He could locate a head-hunter. But the process could take months. They might have to relocate, sell the house, and start all over again in a new city . Jeanne had asked him to call. He ran back to the laundry room, lifted the lid of the washer, looked inside. Reaching in, he pulled out the soggy little rectangle that floated in the soapy water. He blotted the wetness out of the card with a paper towel. Ten minutes later, he picked up the phone. He stared at Jeanne's rounded handwriting on the back of the card, dialed the number of her cell phone. She did not answer. He cleared his throat a couple of times, couldn't find the words to leave a message. Next he dialed the home number. Again, he was prompted to leave a message. He cleared his throat. “Hello, hello, Jeanne, this is Jay.” He deliberated. “I need to talk to you. Can we meet for coffee tomorrow at the Frescofi near Central and McMann? Let me know.” The words tumbled out before his resolve failed him. The phone was still in his hand when it rang. He jumped. Maya? “Hi, Jay! Sorry I missed your call. You want to meet for coffee? Tomorrow?” Jeanne. “Of course. I do not have a job anymore, you know?” He forced a laugh. “Yes, there is one at the corner of Richfield Road and Eastern. I can meet you there,” he said. He went to work on his resume in a frenzy. Wednesday morning, he jumped out of bed, brushed his teeth and noticed an unwanted tenant in the frown that seemed to have made a home between his brows. His soft belly had a slight roll on either side of the waist, the result of eating badly, too much stress and caffeine. The color of his skin where it was normally encased in clothes was lighter than the darker brown of his lower arms and his face. He'd played cricket as a young man during the hot summers in southern India. The sun left dark marks on his face and arms. He drew himself up to his full height of five feet nine inches, flexed his shoulders. He leaned on the vanity, studied the gray in his hair. He should color his hair black, he decided. He arrived early for his appointment, ordered coffee and sat at one of the patio tables outside Frescofi where misters kept the air cool and moist. He opened his briefcase, retrieved a copy of News Today. The newspaper rustled as a rounded finger with its pink tipped nail depressed the center of the outstretched paper. Her face peered at him over the top of the newspaper. He gripped the paper so tight, it tore at the edges. He placed the paper on the table, still not meeting her eyes. She sat across from him, opened her mouth as if to say something else, closed it immediately. He swallowed as if something were stuck in his throat. “I apologize for not waiting. I went ahead and got some coffee. Can I get you some?” He stood up, glad for any excuse to relieve the gnawing stress in his legs. He was puzzled. At work she had kept their relationship strictly business-like. He knew little about her personal life or her background. He knew she had been wooed away from a competitor and brought in by the president of the company. Just last month Maya and he were invited to her housewarming party. The guest list included only people from the office. Maya wondered why Jeanne would need such a large house since she appeared to live alone with only a dog for company. The rooms reflected her taste in colors. Mismatched accent walls hurt his eyes. The newspaper rustled as he folded it before opening his briefcase. He placed the paper in it and took out an envelope containing his resume. When he looked up, she had moved his coffee across to her side of the table. In a curiously intimate gesture, she sipped from the cup. “Mmmm…. this is good.” She replaced the cup on a folded paper napkin. She took the resume from his hands, handling it as if it was precious. Her hair fell forward as she bent forward to pick up her handbag. The café's overhead lights fell on her hair, highlighting the gold. He blinked, removed the lid from his disposable cup, replaced it. He stood up, extended his hand to shake hers. Her palm felt velvety, slippery as if she had applied too much lotion. Her fingers gripped his, holding on longer than necessary. “See you soon,” she brushed his shoulder. He hesitated only a moment. “Wait, I'm leaving too,” he threw his coffee cup into the trash can, wiped his hands on the napkin. Her skirt swished as she turned. She was dressed in pink profusion today. Pink skirt, pink blouse, and the slip's pink lace he glimpsed under the skirt. She reminded him of a giant strawberry sorbet. He fell into step beside her in the parking lot, accompanied her to her car. She opened the door, swung around to face him. “Thank you,” he mumbled like a boy in grade school. “Don't worry, things'll get better. I promise you,” she patted his shoulder, paused as if to make up her mind, gave him a hug. Later he would remember tiny details of the physical body tucked into his psyche: how her lower lip felt rough, chapped, how the faint perfume of an herbal shampoo wafted up to his nostrils, how her soft chest felt against his. But at the time he had one overwhelming thought—Maya was not the only one keeping something to herself. He too had something to keep from her.